Wissam Ben Yedder's hat-trick helped Sevilla to a 6-2 hammering at Levante to lift them into the top half of La Liga. 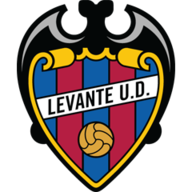 The midfielder marked his first league start of the season with a goal inside 11 minutes, but Levante levelled through Roger within 60 seconds. 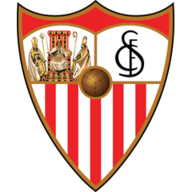 Defender Daniel Carrico put the visitors back in front when he headed in Pablo Sarabia's free-kick, and Ben Yedder completed his hat-trick with a quick-fire double before the break. Andre Valente Silva and Sarabia piled the misery on Levante after half-time, and even Simon Kjaer's last-minute own goal couldn't take the shine off a wonderful away win for Sevilla. Real Betis recovered from 2-0 down against Athletic Bilbao to claim a point in a tempestuous affair at the Benito Villamarin. The visitors raced into a two-goal lead within the opening 18 minutes thanks to goals from Inaki Williams and Raul Garcia. However, Markel Susaeta's sending off for a second yellow card on the stroke of half-time changed the game. Marc Bartra pulled a goal back for Betis six minutes into the second half and then Sergio Canales struck the equaliser on 68 minutes to ensure that the points were shared. There was far less action at El Madrigal, where Villarreal were again frustrated by Valencia in a 0-0 draw, three days after they were held to a 2-2 draw by Rangers. Dani Parejo was shown a straight red card for the visitors 13 minutes into the second half for a foul on Ramiro Funes Mori, but the hosts could not take advantage - and managed just a single shot on target in the whole game.